It's not every day that you see a giant, inflatable colon in the Gonda Building at Mayo Clinic in Rochester. But then, not every day is National Colorectal Cancer Awareness Month. (You know what we mean.) March may also be national Frozen Food, Craft and Peanut month, but the good folks at the Mayo Clinic Cancer Education Center are focused on education and took advantage of the undeniable appeal of the giant colon (aka, Strollin' Colon) to help people learn more about polyps while answering the age-old question: Just what does the inside of a colon look like? 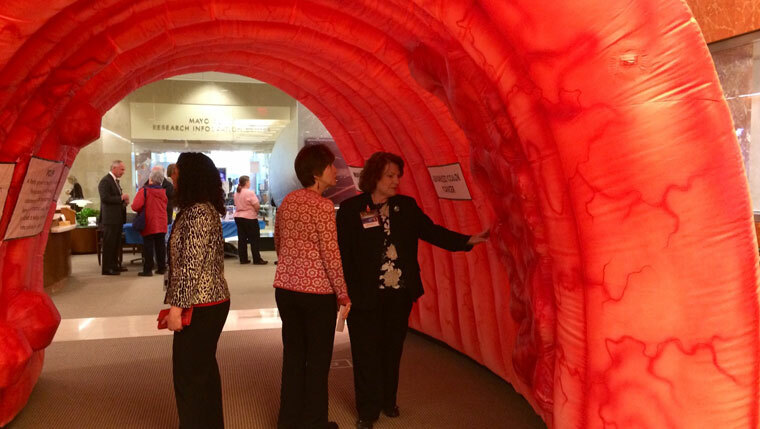 To make sure everyone got to experience, as the Cancer Education Center's Sheryl Ness puts it, "the exciting things that happen when you inflate a giant colon, there was "a self-guided walking tour" of the giant mock colon. And a team of Mayo Clinic experts answered questions about the latest colon cancer research, and offered advice on how diet, exercise and maintaining a healthy body weight can reduce your risk factors. Ness, who live-tweeted the event, says staff and patients alike dropped in (so to speak) to "explore the colon and hear updates from Mayo experts." And one of the hottest topics of conversation during the event was discussion of the recently announced DNA stool screening test, called Cologuard, by Mayo's David Ahlquist, M.D. The Minneapolis Star Tribune reports that the test could become an effective, less invasive and more cost-effective "alternative to colonoscopy." Other "colon docents," including Jackie See, Clinical Dietetics, and Linde Sifuentes, Dan Abraham Healthy Living Center, tell us the event provided a great opportunity to promote the often overlooked but important role diet and exercise play in preventing not only colon cancer, but many health-related issues. "This was a great opportunity to provide the public with information on nutrition to reduce cancer risk and on the importance of screening," See says. "The point I think is most important is maintaining a healthy weight." Sifuentes agrees. "The best way to prevent cancer, or any health issue for that matter, is to exercise 30 minutes for five days, and if possible, every day," he says. "Research shows this is the best medicine we can buy, and something we can literally do for free." Paul Limburg, M.D., who talked colon-cancer screening and prevention in the confines of the giant colon, summed things up like this: "Great event. Engaging. Nice way to start conversations about a difficult topic." You'll get no argument from us there. 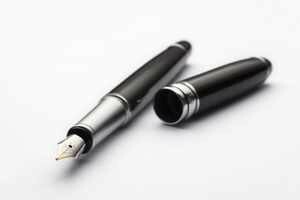 What you can get, however, is an opportunity to share your comments on this story, below. This is so cool. Is the “colon” still inflated for viewing?